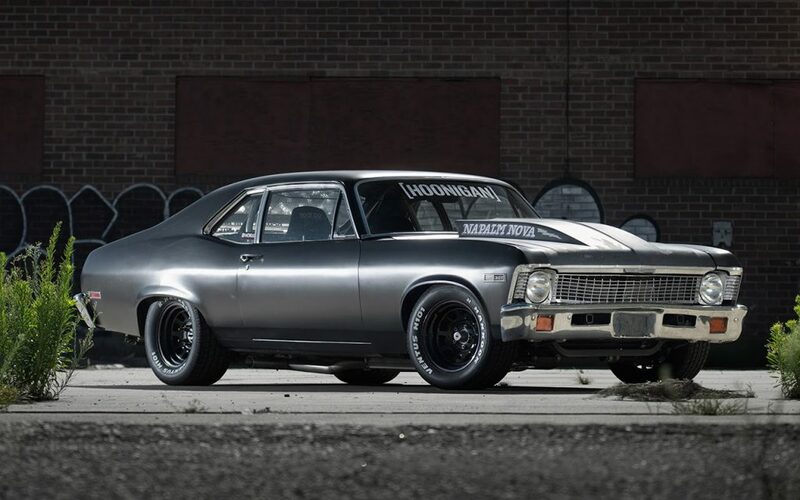 This should be a definition of a Pro Touring muscle car, simple, aggressive, with modern details, and most importantly the name “Napalm Nova”. 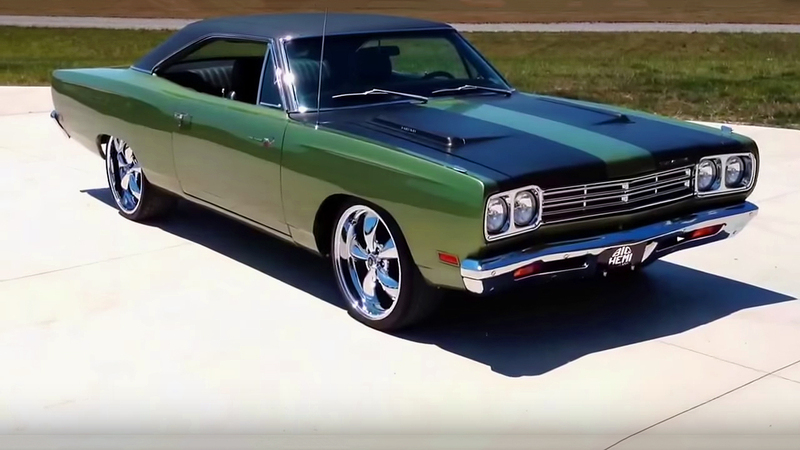 That sounds like a muscle car from the movie “Apocalypse Now,” although there wasn’t any muscle car. 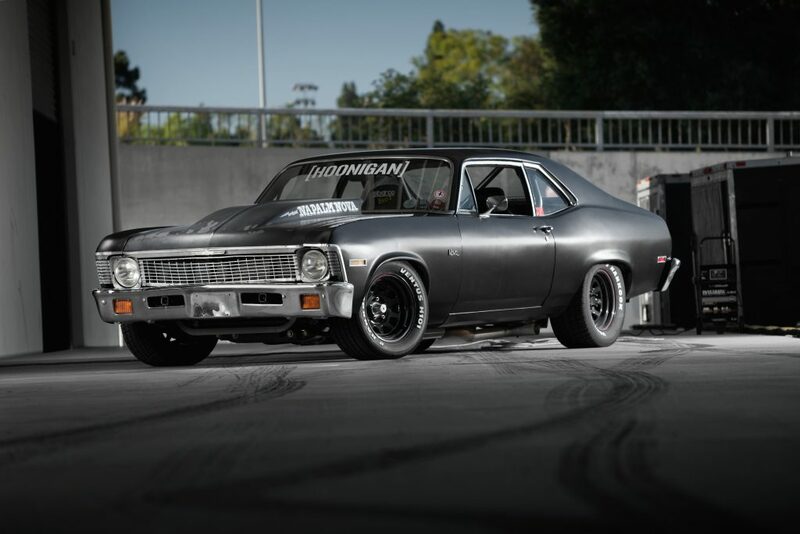 But this 1972 Chevrolet Nova it’s real and its awesome looking with his mate black body and wheels. 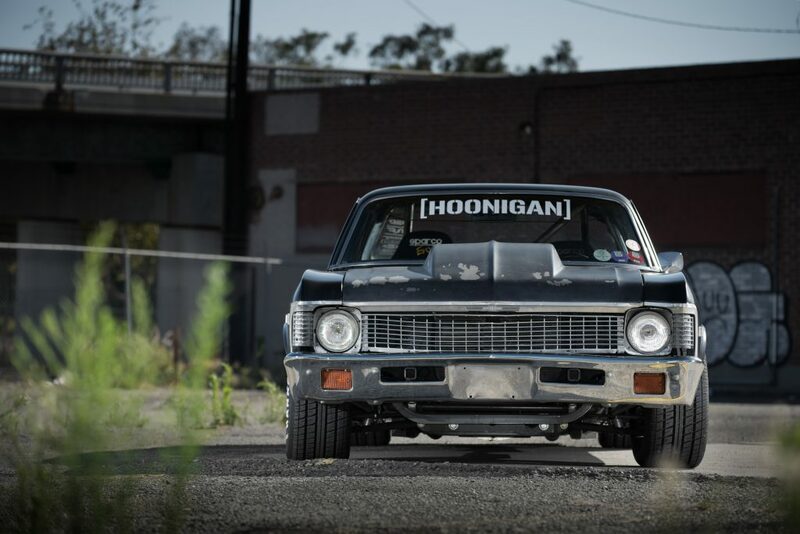 This Hoonigan Napalm Nova has been built for one purpose only, builded for driving. Inside you will find only useful gadgets and equipment, nothing less, nothing more, while the driver is secured by the Sparco Evo3 Seats and Takata Harnesses. 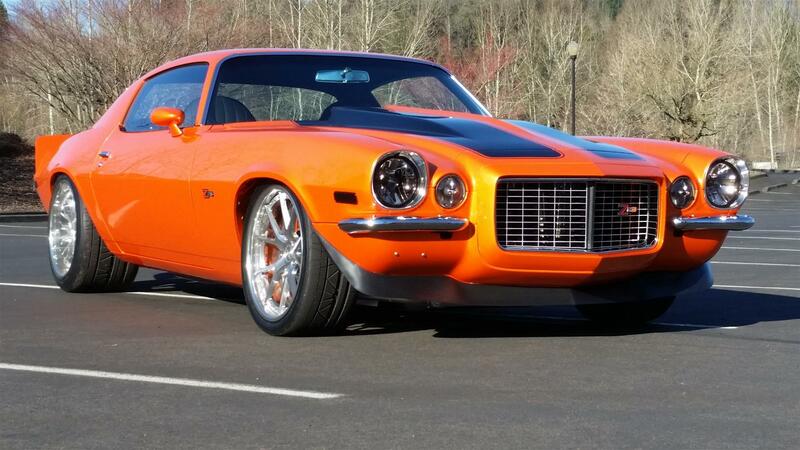 The classic chassis lies on the Art Morrison Enterprises subframe which is connected with modern Corvette’s suspension. 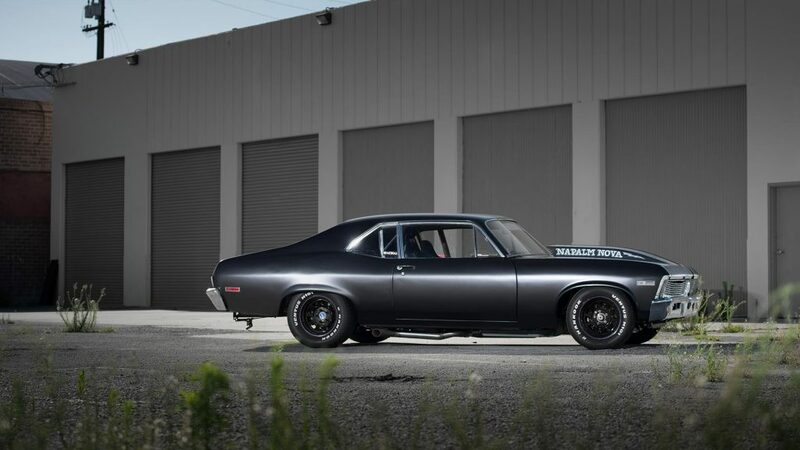 The Powertrain under the hood is Chevrolets 454 cubic-inch big-block V8 engine with an MSD Atomic EFI kit. 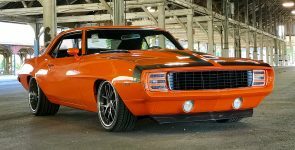 Capable of generating more than 400 horsepower and attached by a Tremec T56 six-speed manual transmission. The exhaust is stainless steel custom H-pipe MagnaFlow. 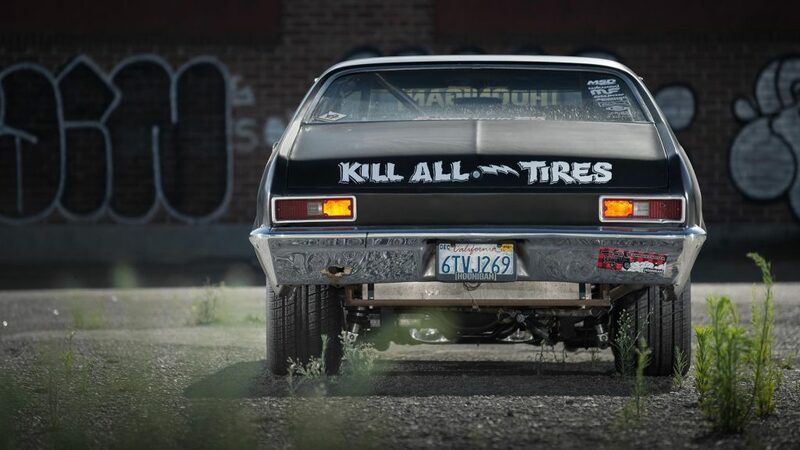 The connection between this 1972 Chevrolet Nova and the road are the American Racing Wheels AR767 equipped with Hankook Ventus H101 tires. 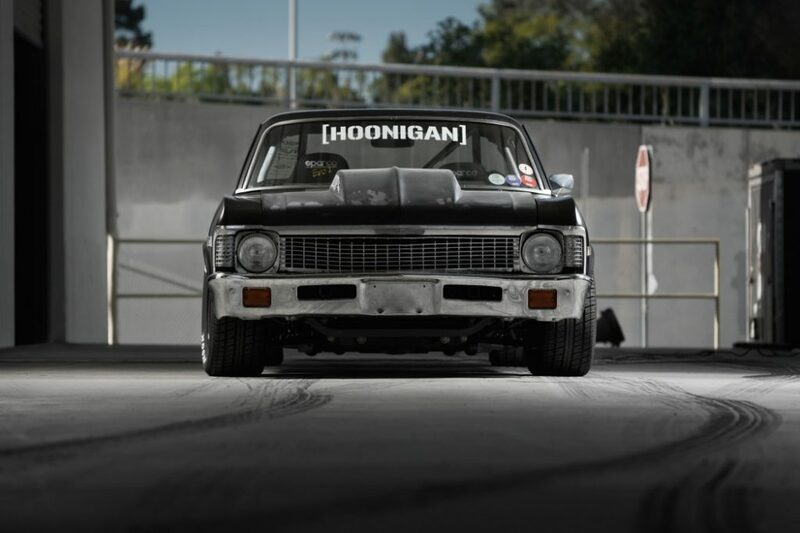 The braking performance for this Nova are secured by a set of Wilwood Ultralite rotors and calipers controlled also by a Wilwood master cylinder.